On August 28 Northern Ireland will have gone 589 days without a government. Pedants will say that overtaking Belgium’s claim to notoriety is not a world record because we have a devolved, not a sovereign government. But try telling that to the thousands who will take to the streets to protest in the #wedeservebetter campaign. On the surface all can seem normal enough. Our elected politicians who continue to be paid for not doing the job they were voted in to do. Since Stormont fell they have been paid £9 million and counting. And without them services continue to be delivered. Government can function without politicians. As we have pointed out before a government without them is a zombie ship. What happens is that civil servants keep on doing whatever they were doing before they jumped overboard. Ministers decide on policy; civil servants implement it, so civil servants continue to implement existing policy, and the ship keeps going full steam ahead. The trouble is that it can no longer alter its course. And we are heading for the rocks. For a time it looked as if we might have a form of government by civil servants, unaccountable but at least empowered to make decisions. Last month’s court ruling that mandarins have exceeded their powers by granting permission to an incinerator at Mallusk put paid to that. Health reform. Our current system is not fit for purpose, without reform it is in danger of collapse. The cracks are already showing. Without politicians reform cannot happen. The Peace Process. The most important factor in progressing peace is strong political leadership. We have none. There are many, many more and as every day goes by the position we face worsens. Every citizen is impacted: it is an urgent crisis for every one of us. Yet politicians appear as far away as ever from resolving their differences and returning to work. At the same time the British government, which has hardly distinguished itself in its attempts to broker a deal, appears determined not to step in. It has painted itself into a corner with its deal with the DUP and would not be seen as an honest broker in any event. So we can expect very little from elected politicians. Last week we wrote about the crisis in the peace process, highlighting the coalition of peace workers who are getting together to provide leadership and energise civic society to work for change. They argue, quite rightly, that peace cannot be left to politicians who have shown very little real leadership and are locked in tribal politics and parties. If there is to be movement it has to come from ordinary people. 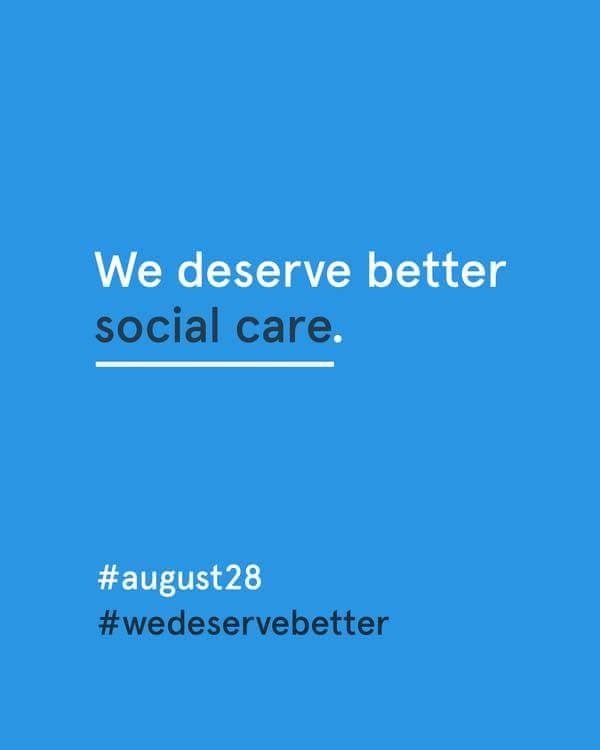 The #wedeservebetter campaign reinforces this. It was started by Dylan Quinn who runs a dance company in Enniskillen. His original plan was to recruit 589 people – one for every day without government to take part in a demonstration in his home town on August 28. The video he put on Facebook to promote it went viral and within days thousands were wanting to take part. To date 17 events are to be held across Northern Ireland. His Facebook page provides updates and guidance on the protests. Quinn’s campaign has captured the imagination and frustrations of so many citizens who are deeply concerned about the impact of a lack of government and the irresponsibility of politicians for creating a political vacuum to the detriment of all in society. He has shown leadership at time when politicians have not. The really important point to note here is that the old notion that governance should be left to political elites and that to join the club you have to work your way through a political party is creaking because it is not working. Many politicians still believe that the role of ordinary citizens is to turn up at the polling stations every few years, vote according to their tribe and then repeat regardless of performance, or whether indeed they do any work at all. This needs to be challenged. The reality is that in many policy areas the very nature of tribal politics means that many issues remain “too difficult” to resolve, some of which are peculiar to Northern Ireland, others occur elsewhere. There are many of these, a few examples: segregated education, a known driver of sectarianism; a sensible, mutually respectful policy on the flying of flags; most issues relating to equality; an equitable solution to the crisis in social care. There is a solution. And that is to create a mechanism whereby ordinary citizens can play a direct role in shaping policy, particularly on those tough issues where politicians seem paralysed. The solutions already exist and are used elsewhere. On the local level they include participatory budgeting whereby people in a local council area, for example, get to vote on how public money should be spent to the benefit of the community. On a state level they include setting up Citizens’ Assemblies so that ordinary people can study the evidence for policy proposals and make recommendations on government policy. This is proving to work well in the Republic. In Northern Ireland the Building Change Trust is piloting a Citizens Assembly which will come into being later this year. It will prove a fascinating exercise, albeit one with no official/legal status. Interestingly the British government is looking to start to experiment with participatory democracy in England. It has just published a Civic Society strategy document outlining how it intends to empower communities and improve social wellbeing. Strangely although the document is fulsome in its praise for including citizens in decision-making the British government only wants to extend this to local councils, exempting itself! Laying this to one side government recognition of the importance of giving citizens a direct say in government is welcome. It is time for them to take the next step in Northern Ireland. Given the lack of leadership both it and our local politicians are demonstrating, it is high time that the people were given a voice. It is likely to be quite some time before we have a working Executive and Assembly again. In the meantime, along with putting some serious effort into progressing talks the British government should step in and fund an officially-recognised Citizens Assembly so that the people can show politicians what leadership means and get to work on some of the problems they seem incapable of solving.